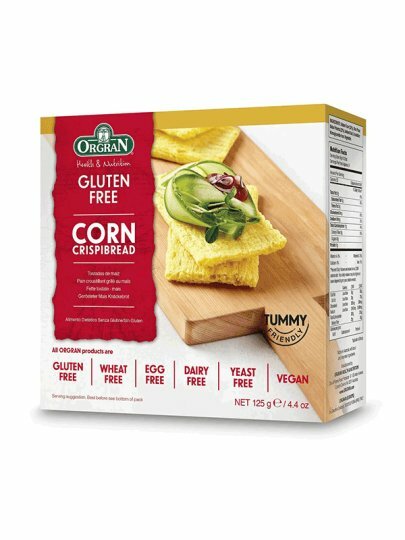 Crunchy breaded corn bread has an excellent taste. You can use them as a basis for various vegetables, meats or sweet prawns, or even as an independent meal. Corn flour (52%), rice flour, corn flour (22%), iodized salt, emulsifier: monoglyceride vegetables.